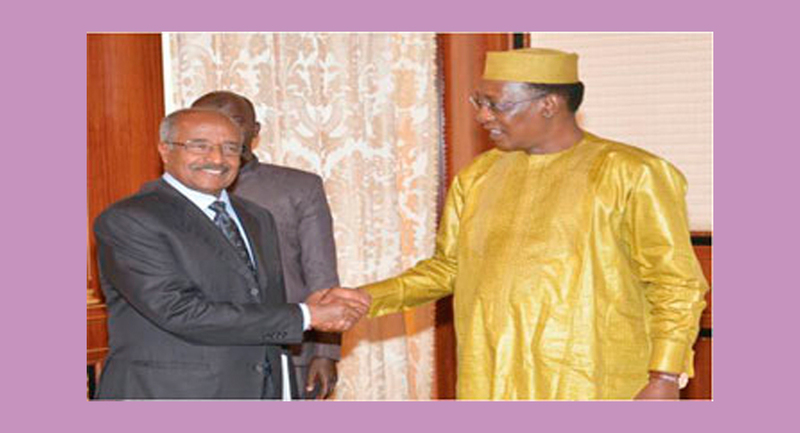 Senior Eritrean delegation comprising Mr. Osman Saleh, Minister of Foreign Affairs, and Mr. Yemane Gebreab, head of PFDJ Political Affairs, met and held talks with President Idris Deby of Chad. The senior delegation delivered a letter from President Isaias Afwerki to President Idris Deby focusing on regional, continental and international developments, particularly the need to reform the African Union. Eriswiss © 2019. All Rights Reserved.